No Fossil fuels are used in the drying process for bulk bag logs. Our logs are produced with a minimum carbon footprint and virtually all waste is used. LFA logs have a low moisture content as required by DEFRA. Our logs are dried using solar assisted methods. 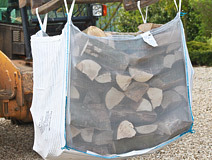 All our firewood and logs are properly seasoned, eco-friendly and available to order online for free delivery in South Oxfordshire. Don't leave it too late to stock up ready for winter. Logs for All now offer logs for sale in Surrey with Surrey Wildlife Trust. Our firewood is from a sustainable source and delivered locally, providing virtually zero-carbon fuel source. Simply choose the size of log that best suits your needs, pick the quantity you require, and make a secure online payment. Your logs will normally be delivered within 5 days of ordering. 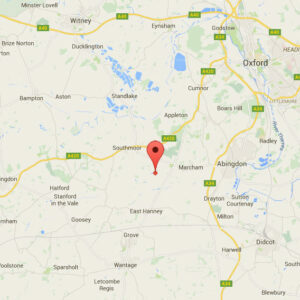 We deliver free to all areas within 18 miles of Garford. Click above to view the map for delivery area. Our logs are supplied in a large 87cmx87cmx90cm internal (91cmx91cmx95cm external) vented bag that leaves no mess during delivery. These bags can be returned and recycled for sustainability. 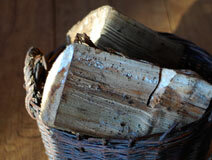 Looking to buy logs and firewood in Surrey? Logs for All now deliver with Surrey Wildlife Trust.